A drifter is taken under the wing of a troublesome family. What is it about rural America that attracts filmmakers from the British Isles? Two of last year's best movies saw English and Scottish directors explore the open expanses of the US in Andrea Arnold's American Honey and David Mackenzie's Hell or High Water. Now it's the turn of Ireland's Juanita Wilson to cross the Atlantic with her adaptation of Daniel Woodrell's hardboiled novel Tomato Red. 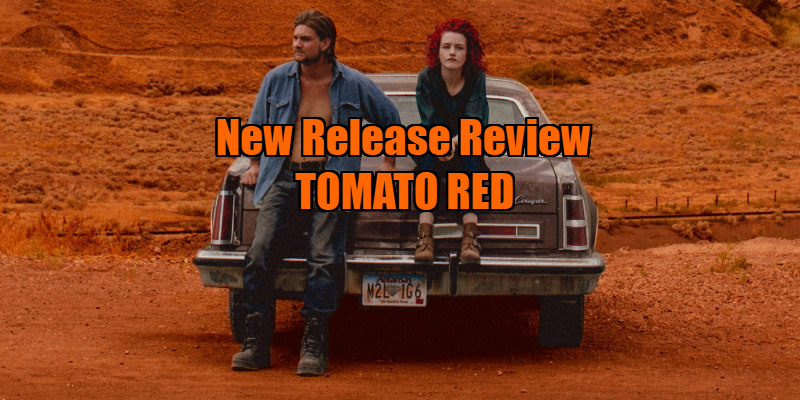 In classic noir style, Tomato Red opens with a melancholy voiceover delivered by its protagonist, the down on his luck and heading ever south Sammy (Jake Weary), a drifter recently released from a stretch in the slammer for a liquor store robbery. With an outlook on life that's positively canine, Sammy has a simple ambition, to find "the bunch that'll have him". That bunch turns out to be the Merridews, a troublemaking family that lives on the outskirts of both town and society. While her prostitute mother, Bev (Anna Friel), has accepted her lot, teenage Jamalee (Julia Garner) is determined to leave town, setting her sights on "a state and a half in any direction." Acting as the pimp for her handsome bisexual brother Jason (Nick Roux), she takes on Sammy to provide muscle for her haphazard criminal operation. If Jim Jarmusch's recent Paterson is a joyous celebration of the mundanity of working class life, Tomato Red is a scream of discontent silenced in a canyon. It explores class division in a way that's jarring for an American movie. If the American dream exists, Tomato Red's protagonists are insomniacs. Initially it may be difficult to warm to the Merridews, who seem like their own worst enemies, but we come to learn the deck is stacked against them by the snobs who run their small town. If the game is rigged, can you blame them for cheating? When, after Jamalee is kicked out of a job interview at the local country club, she, Sammy and Jason release a herd of pigs on the golf course, their joy is palpable, even if we know the repercussions of their act of defiance will be severe. In her second film, Wilson proves a natural, both in adapting Woodrell's novel as writer and in capturing a sense of place on screen. By the end of the movie we feel like we know her characters and their limited world inside out. Wilson mines restrained but subtly stirring performances from her central cast, with English actress Friel a standout, thoroughly convincing as a hardened woman selling a soft exterior. 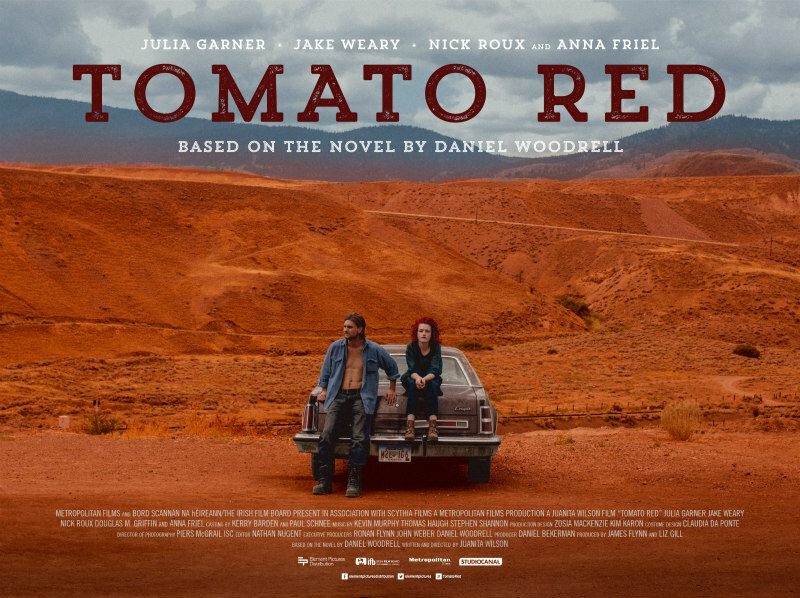 Garner is a young star who has impressed throughout her short career, and while Electrick Children may have granted her a leading role, Tomato Red offers her most satisfying part. Jamalee is a subversion of a classic noir archetype; at first she seems like a femme fatale that spells bad news for Sammy, but we soon realise she's closer to a guardian angel, determined to save him from himself. Tomato Red does follow a straightforward plot, but it's first and foremost a character drama, and it's a film much like its characters; - easy to warm to, if difficult to relax around. Its protagonists may drink beer and eat chicken wings in the sun, but there's always the sense that a storm's on its way. Tomato Red plays at the Glasgow Film Festival February 24th and is in ROI cinemas March 3rd.